When you think about it, your standard first aid kit is piss poor. They don’t address how they actually function in the real world: Forgotten for years until an emergency, and often used by someone who has absolutely no medical training. The solution? Infographics, obviously. The First Aid Support Kit by Kristine Erdman contains several compartments, each one dedicated to a specific type of injury. 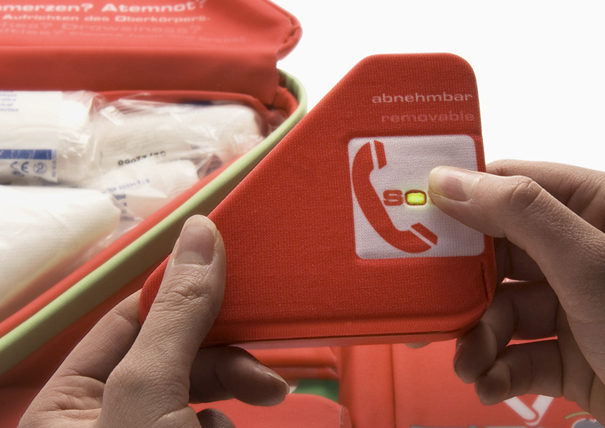 When opened, the lining of each compartment is printed with an infographic showing how treatment should be administered. 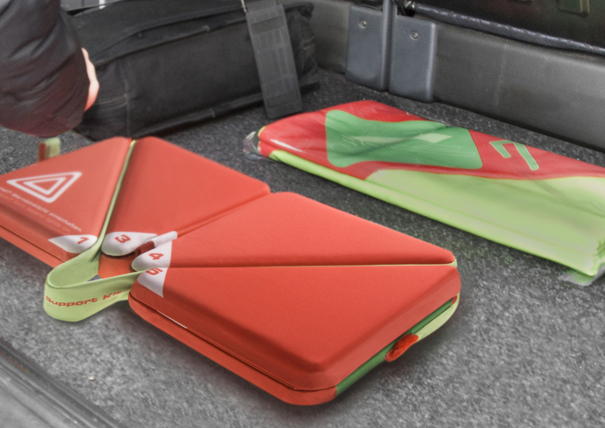 When not in use, the shape of the compartments allows the whole kit to be folded into a compact package. For more pics, check out Yanko.